I’ve had time to recover and go onto another wholesale order since I finished the 150 uteruses and placentas. I don’t think I will ever take on an order like that again. It was a large number of items on a very tight timetable (which was most of the problem) with a customer who didn’t actually know what I was making them and thought they were getting a slightly different design because the person I was dealing with hadn’t read the listing. Lesson of the day: “When buying lots of something, READ the description. When selling something and the customer wants a large order, check that they have read the description”. I was knitting/crocheting for up to 14 hours a day. I also had help from some local and not so local knitters and crocheters – without them I’d never have completed the order! I suspect my hands would have given out… My hubby also pitched in and used the Prym Knitting Mill I bought to make lots and lots of I-cord for me. I had him make very long cords, standing at the top of the landing with the cord going over the bannister and looping it with clothes pegs, then steeking (cutting) it and weaving in the ends for me. I have to say we never had any problems with the knitting mill even though the reviews were mixed on Amazon. I suspect it’s mostly to do with the yarn as to how successful you are with it. The yarn I used for the order was James C. Brett Top Value DK, a basic yarn that worked perfectly in it. 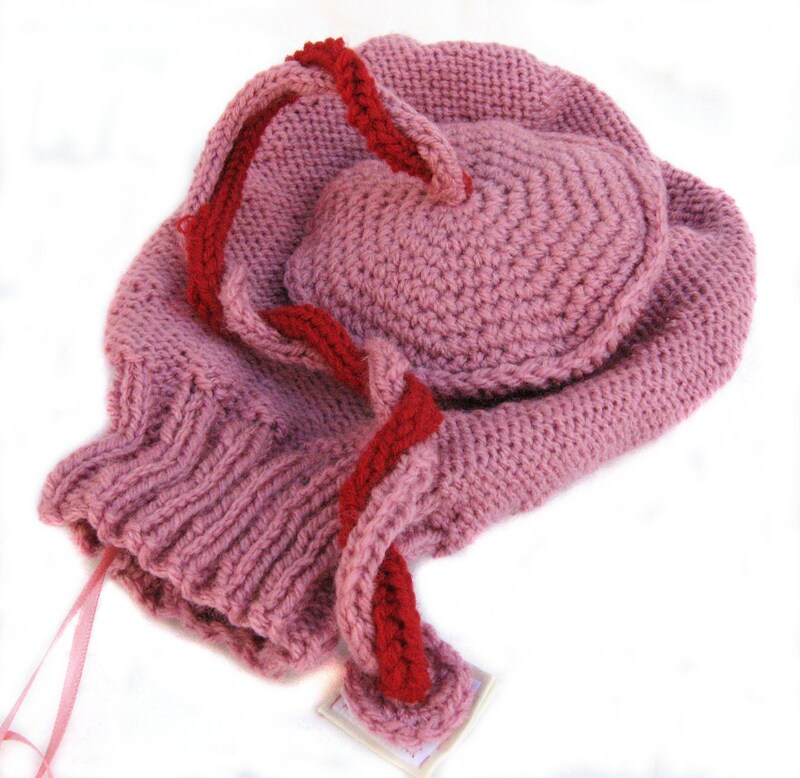 I’ll keep making the uteruses and placentas – they are available in my Etsy Shop Anatomical Knits. You’ll also find crochet breasts and other body parts….